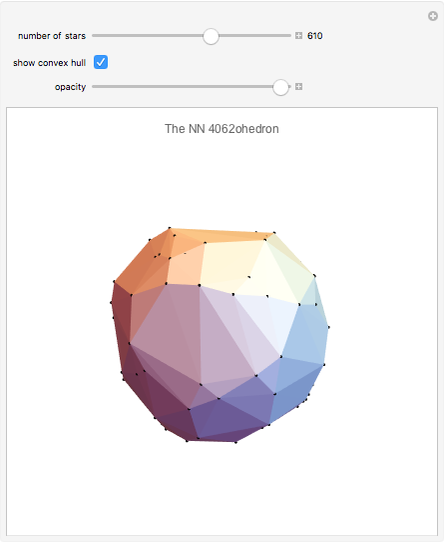 Take up to the 1000 nearest stars and plot them in 3D space. 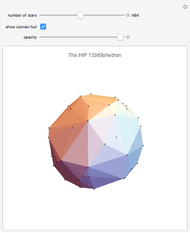 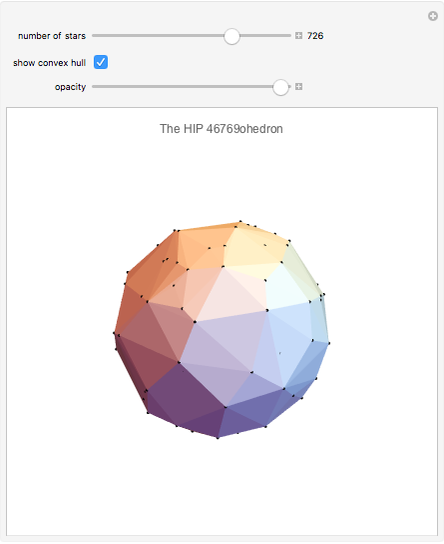 Now, construct a 3D convex hull to form a family of "galactohedra". The name at the top comes from the most distant star in the selected subset. Hover over the black points to identify the stars making up the vertices. A yellow sphere is used for the sun, and a red sphere indicates the region centroid.